Today’s update introduces a revolution in the Academy system, we have remodeled the way the Academy works, providing you with a lot of battling opportunities. Our new Academy will be initially based on “Capture The Flag” matches only for the time being. The new Academy system will stay flexible to be integrated with future updates; changes are to occur anytime as deemed needed. We are all ears to your suggestions and feedback. It’s projected that this update shall increase the server activity dramatically. 1. Live graduates! Yes, you saw it right! You’ll no longer have to wait for 24 hours for your graduates to reflect on the GameServer. 2. Live Honor Buffs! Yes! Once you get enough graduates to rank in the Academy ranking you’ll get your buffs instantly, without the need for a teleport. With that being said, we have disabled the old-ineffectual Academy system and implemented our revolutionary one into Atomix. We have also added Honor Buff Scroll to be obtained as a reward from the event so-ok in exchange for 10 capture the flag trophies. The Honor Buff Scroll can be used only when you have an Academy camp created already, it will add 1 graduate to your academy. That scroll can’t be sold, deposited nor traded. In addition, this update addresses several bug fixes and improvements. 1. Fixed “Capture The Flag” event timing. 2. Changed “Capture The Flag” trophies reward to Honor Buff Scroll. 3. Fixed fellow pet speed bug. 5. Changed required level to ride trade pets to level 105. 6. Removed all trade pets except the Behemoth to stop trade abusers. 7. 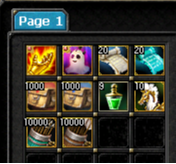 Removed Reverse scrolls from the starter items to stop job abusers. That’s not all, we are constantly working to improve your experience and more updates will follow. We gladly present to you today a new creative feature to lock your inventory items; can be used if you are going on a vacation and want to keep your account more protected. All that needs to be done is to send “!lock YOURPASSWORD” to $SYSTEM in the chat-box. The first attempt will lock your character’s Inventory and save your password, and send to $SYSTEM !unlock YOURPASSOWRD will unlock your characters inventory. In addition to that, today’s update brings to you other important server side updates. Find the changelog and list of the updates below. 2- The “Networking-Filtration” infrastructure has been updated. Expect a smoother connectivity. 3- The “Buyback” option at the NPCs has been fixed. 4- The “Wizard attack bug” has been fixed. 5- Lost “coins” due to the “buyback” issue will be granted back to the players who legitimately lost them due to the issue. No further reports will be taken into consideration regarding this matter. These changes were necessary to ensure more server stability and other updates will follow. Enjoy your stay in Atomix. 1. We have added 25% bonus on all silk donations (Including VodafoneCash) in celebration of the Cyber Monday. 2. We have completely fixed the wizard skill bug abuse. 3. We have applied HWID limit to the Battle Arena to be 1 Character per PC. 4. Disabled Jangan and Bandit fortress wars; only Hotan will be playable. 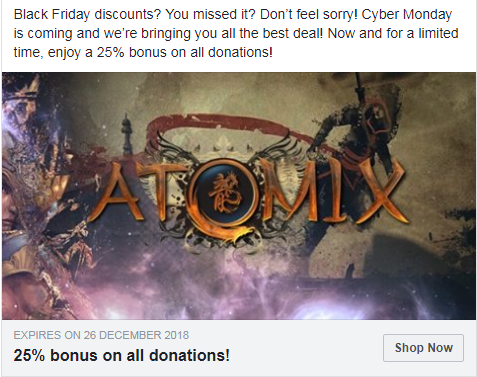 Thank you for being part of Atomix Online and hope to see you all having the fun you expect. First and foremost; please excuse us for any inconvenience the long downtime has caused! especially on a Sunday! It will be made up for and hopefully meet your expectation. If not; we will thrive too. Replaced old logos in teleport screens with the new ones. Doubled the mob spawn rate. Modified the starter items for a more pleasant journey beginning on our beloved -and soon yours- server! Fixed a minor issue with the AutoEQ. 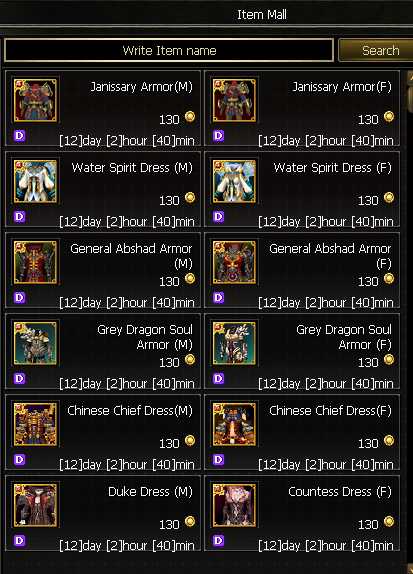 Increased server slots * 2000 now. Added Avatars to the Item Mall based on a calculated periodic schedule. Guilds limited to 32 members. Union to 4. P.S. If you are looking for little boost up. [GM]Charlie will be holding a gradual Unique Event at 18.11.2018, 11:30 GMT+1. We wish you all the fun.